If you are familiar with Microsoft PowerPoint but looking to improve your skills, this course is designed to do just that. 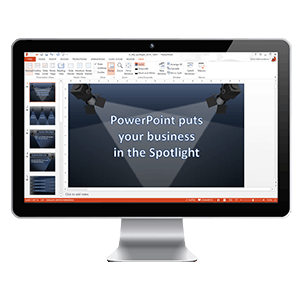 Our Advanced Microsoft PowerPoint training course will give you the skills to produce highly professional and stunning presentations. On the course you will be able to use the more complicated functions of PowerPoint to create templates that you can build presentations from using graphical and animated content and deliver your slide show using advanced methods of delivery. The course uses structured hands-on exercises so you can practice the skills you have learned throughout all the sessions. To get the most out of this course some experience of creating slide show presentations is recommended (for example the topics covered in our Introduction to Microsoft PowerPoint course) and ideally you should be comfortable with the Microsoft Windows environment.